A colorful piece of designer furniture often adds freshness and vitality to a space and the Sol Stool is a perfect example of this. Light, chic and colorful, the Sol Stool can fit beautifully into so many home decor environments- your living room, bedroom, or guest room to name a few. 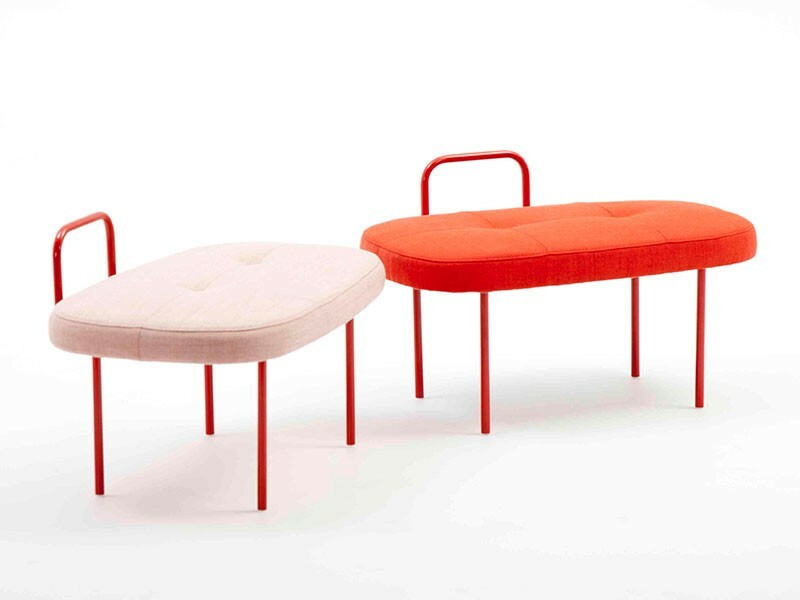 Created by Norwegen designer Andreas Engesvik, the Sol Stool won the Elle Decoration Award for The Best Furniture 2013. The Sol Stool has so much character and fabulous design proportions. Because of its low profile, it can complement higher and larger pieces of furniture, i.e. you can place it next to your desk in your study, and it also works very well when positioned next to low profile tables and sofas. Of course, its design makes it the ideal choice for placing against a wall. 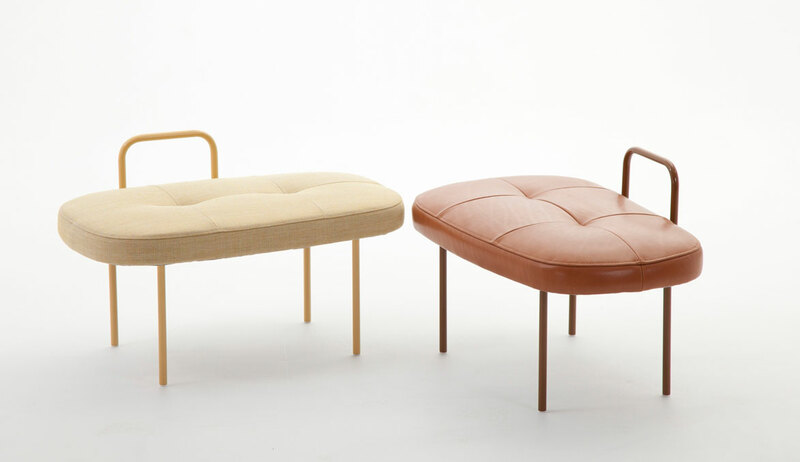 The Sol Stool comfortably seats two (gotta love those loveseats) and is available in either fabric or leather. It comes in a wonderful range of colors including Red Canvas, Walnut Leather, Grass, Sea, Sky or Straw, so you can select the model that best matches your interior decor. Its dimensions are height: 18.1″ including handle; seat: height 13 inches x width 16.5 inches x length 27.5 inches.